"The Adoptables" is a campaign started by PetRescue in 2016, highlighting PetRescue's role in connecting pets - especially special-needs pets - with a new home. 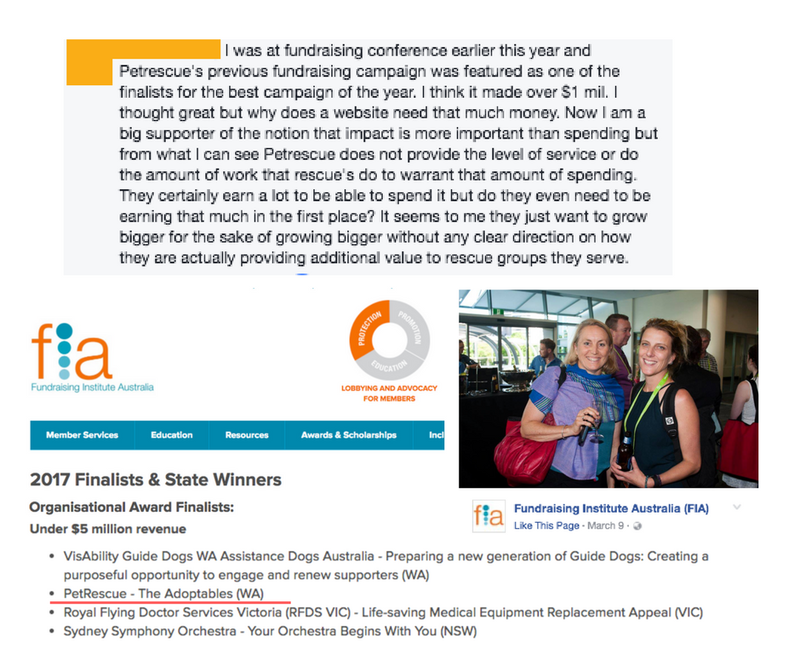 A tax-time fundraising campaign is run to support same, and last year's campaign was nominated for a Fundraising Institute of Australia "Excellence in Fundraising" Award. 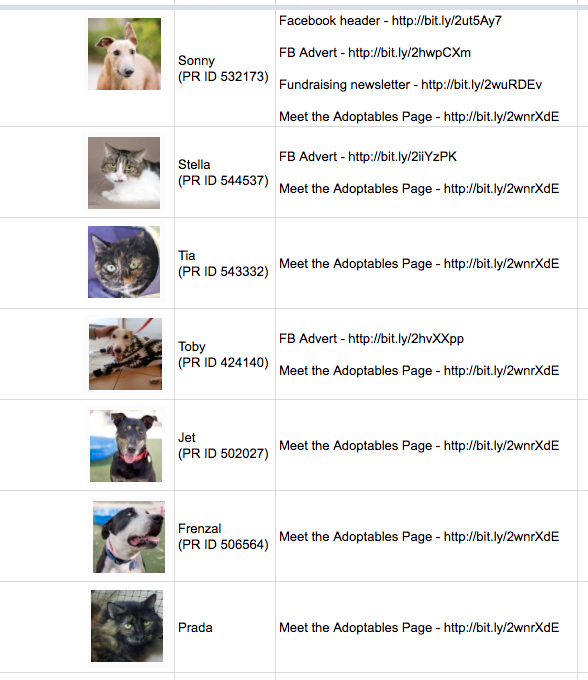 "The Adoptables" is promoted as a way for people to donate to help individual pets find new homes. People donate money which will be used to implement several different strategies to help find these pets new homes, above and beyond a standard PetRescue listing. "The seniors, special needs and scaredy cats who were nominated for The Adoptables campaign got an extra boost to their own personal adoption campaign, with a special feature and/or a targeted paid ad on Facebook. 37 of those pets also got a free professional photo shoots and free profile editing assistance, with special thanks to a fantastic team of volunteers. However, despite sounding like a noble cause, the big question is, does it work? 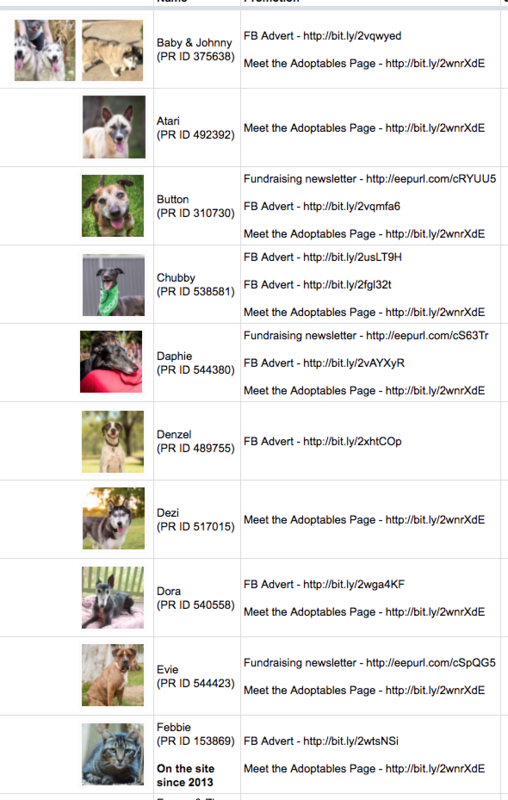 Does giving PetRescue listed pets, boosts like volunteer photography sessions, better profiles, email mailouts and paid Facebook posts - paid for by an investment by the community - does it actually work to find pets new homes? 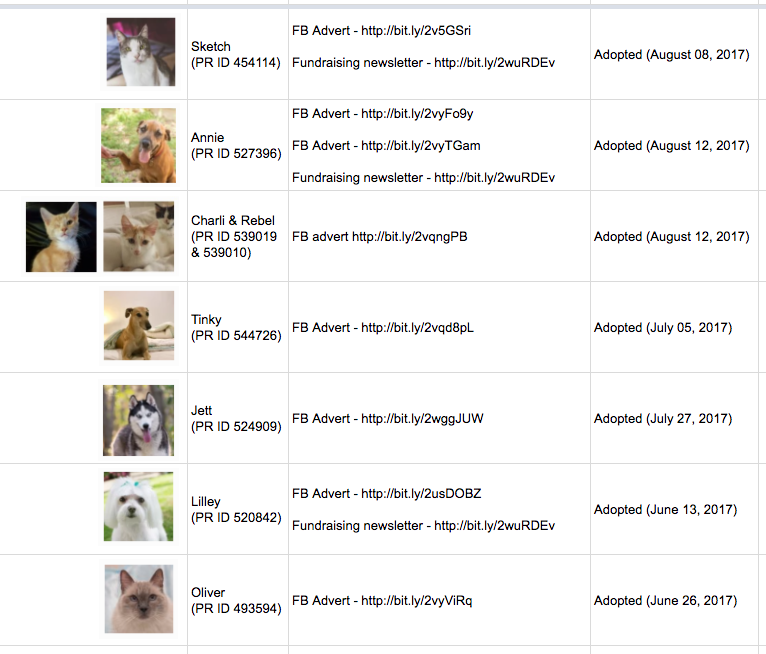 The campaign was running throughout 1st June - 30th June, with the campaign's "feature pets" being given multiple platform promotions including paid Facebook ads as promised to donors. 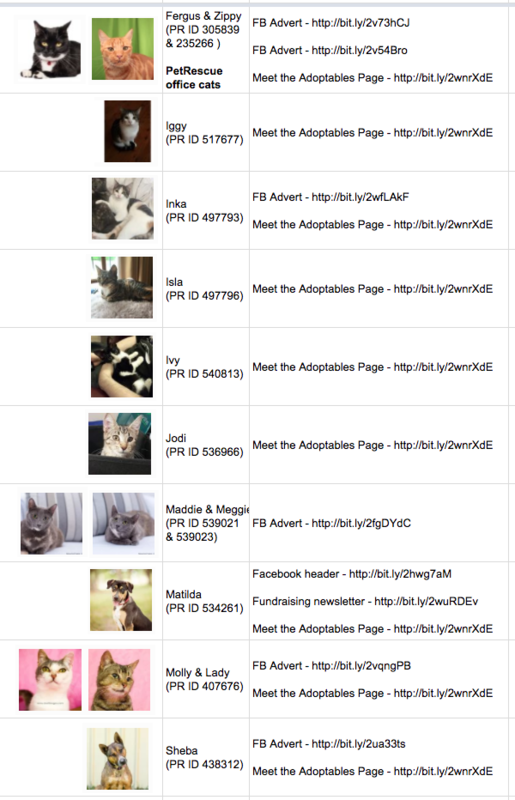 I've included in this list pets who were adopted in August (even though their profile boosts were in June and the campaign has been finished for nearly two months) to give PetRescue as much credit as possible for the success of their promotion, and we can see 8 pets found new families as part of "The Adoptables". While 31 pets are still available, despite featuring in the campaign. Regardless of whether you feel PetRescue soliciting donations from the public using the stories of individual pets which they neither hold nor care for is ethical, these campaign results show doing so is probably not resulting in improved outcomes for pets. I would go as far as to say the outcomes mirror the general adoption rate of pets without any extra promotion, rendering it basically valueless (except for fundraising purposes). 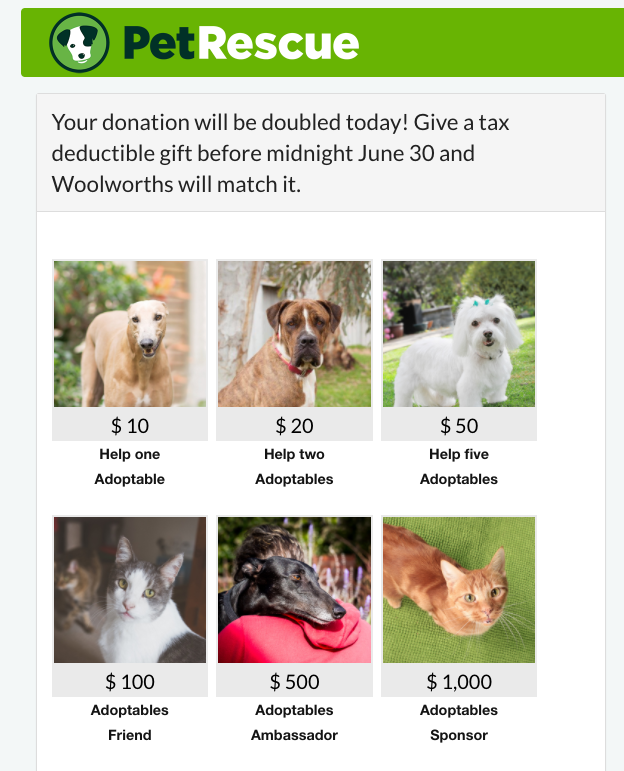 If PetRescue is going to use individual pet stories and "The Adoptables" as a platform to solicit funds, it must be able to show that the monies donated somehow benefited the pets being used to solicit donations - not just feel-good stories which show up on their social media pages, but actual results which see significantly more pets adopted into homes.